Jypyä Pop (Turku, Finland) on 20 December 2013 in Lifestyle & Culture and Portfolio. @ursulakatariina: Thank you. It is Aurakatu a little more than four o'clock in the afternoon. @Curly: You are right. Saturday is the winter solstice and after the days begin to lengthen. @J.R.: Thank you. Christmas causes a little busy. Excellent night shot of a busy street. Amazing night shot with the colourful lights. @Devi: Yes, I sometimes miss the spring and summer. Great capture of the street . It appears to be all heading out of town, nice shot. @The Mouse: The city borders are many large hypermarkets. Each should make time to visit. 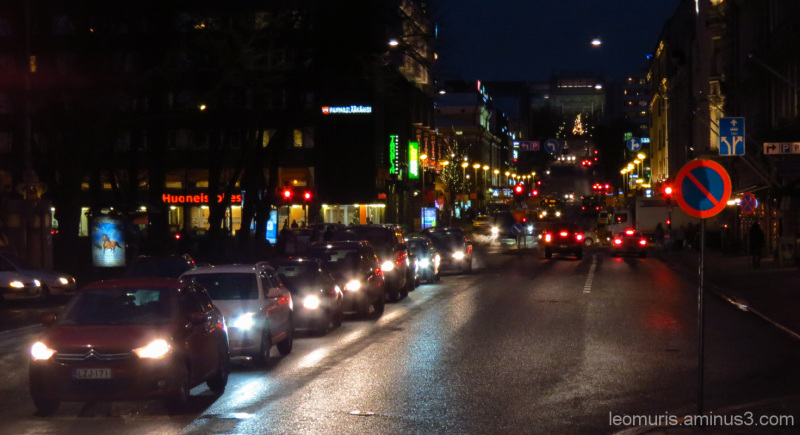 Great scene at night … love the light from the head lamps of the cars!